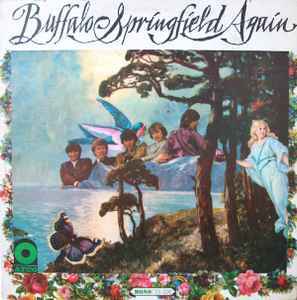 Buffalo Springfield Again is the second album by Buffalo Springfield, released on Atco Records in November 1967. It peaked at #44 on the Billboard 200. In 2003, the album was ranked number 188 on Rolling Stone magazine's list of the 500 greatest albums of all time. The album was included in Robert Dimery's 1001 Albums You Must Hear Before You Die. Excellent pressing. Best I have ever heard, actually. I would recommend that anyone who has even a passing interest in Buffalo Springfield or any of the individual members' solo stuff pick this up. Heavy and quiet. I really wish they would do a release of "Last Time Around" next. This record definitely needed a modern-day reissuing. It's my third copy and I already like it the best over previous versions I own. The disc is heavy, loud, and pleasantly-warm sounding. I just might double up!! Is that the letter 'G' or a 'C' or an 'O' below the SD 33-226 on the label? If so, my copy lacks this identifier. Interesting if you listen from about 22 minutes. It's quite interesting. This is the right version to have, according to this video. At about 22 minutes. Interesting information, so take a look. I just picked up a copy of this WLP, but the print on the labels is red, not black. Any info on this? A great improvement on their début and definitely the highlight of their small discography, a great album.